The Handley Page W.8C brought new standards of comfort to airlines in 1922. This photograph was taken inside the saloon of one of the W 8B machines, but the saloon of the new type will look exactly similar, except that there will be 16 seats instead of 12. D.H. and H.P. 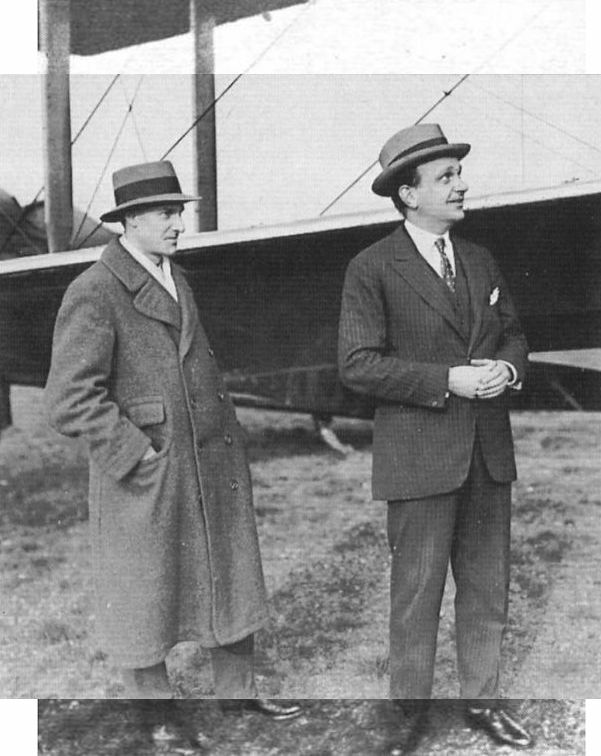 This historic photograph was taken at Cricklewood on October 21, 1920 and shows Capt Geoffrey de Havilland and Frederick Handley Page standing in front of a D.H.9 fitted with H.P. 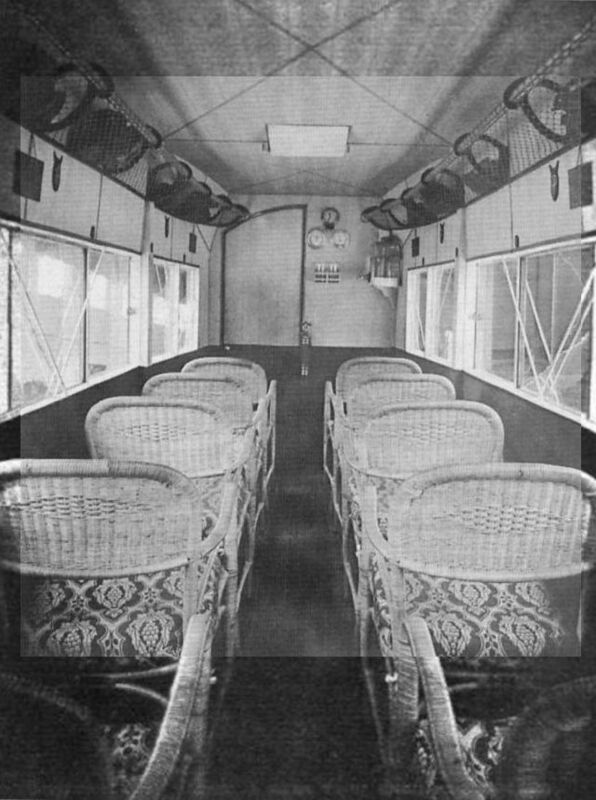 leading edge slats, which improved low-speed lift, landing and safety. 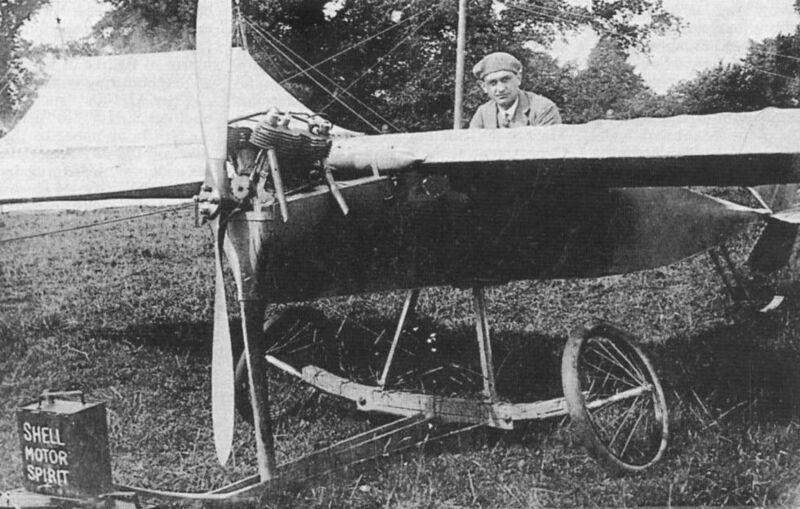 Frederick Handley Page sitting in his first experimental glider in 1909. The Bluebird was priced at ?375. Фредерик Хэндли Пейдж выглядывает из кабины пилота своего моноплана Type A, известного как Bluebird. The Handley Page Type G/100 with 100 h.p. Anzani. A Handley Page 50 h.p. monoplane, which did a great deal of flying at Hendon. The Yellow Peril monoplane photographed at Brooklands in July 1912. The Handley Page Barking works in June 1909. The Deverall Saul quadruplane can be seen in front of the shed. Handley Page H P. 12 F5417, an O/400 civil conversion, lands at Cricklewood, watched by Indian troops. F5417 later became G-EAAW and flew with Handley Page Transport Ltd until withdrawn from use in April 1920.